In the summer of 1588, Europe waits with bated breath for King Philip of Spain to launch his mighty armada against England. Everyone except Lady Alice Trumpington, whose father wants her wed to the highest bidder. She doesn't want to be a wife, she wants to be widow; a rich one, and the sooner, the better. So she marries an elderly viscount, gives him a sleeping draught, and spends her wedding night with Thomas Clarady, her best friend and Francis Bacon's assistant. The next morning, they find the viscount murdered in his bed and they're both locked into the Tower. 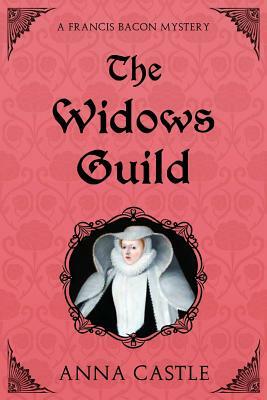 Lady Alice appeals to the Andromache Society, the widows' guild led by Francis Bacon's formidable aunt, Lady Russell. They charge Bacon with getting the new widow out of prison and identifying the real murderer. He soon learns the viscount wasn't an isolated case. Someone is murdering Catholics in London and taking advantage of armada fever to mask the crimes. The killer seems to have privy information -- from someone close to the Privy Council?